Friends of SW Charter Committees and Jobs ~ Sign Up Here! Friends of SW Charter (our parent/teacher organization) works to build community and support families, aids and supports staff, engages in community service, fund raises to create field work scholarships for those in need, and supplies funds for teacher grants. 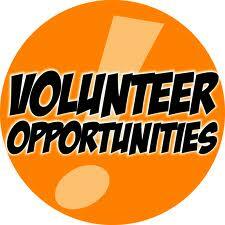 Friends has many committees and jobs and we need volunteers to help us succeed in our mission. Many jobs can be completed from home in your free time and range from a few hours commitment to a yearlong adventure that will be infinitely rewarding. Please sign up at http://www.signupgenius.com/go/5080e49a9ad29a46-friends for as many tasks that interest you. If you are already doing a job, or have expressed interest please sign up here as well so that we have all of our information in one location. This entry was posted in Volunteer and tagged committees, jobs, sign up genius, signupgenius. Bookmark the permalink.